I don’t eat tomatoes out of season, which means I would leave that out of this recipe. But I think I would thinly slice fennel and add that in. Fennel goes so nicely with turnips and olives. Preheat the oven to 350°F (175°C). If using baby turnips, trim and scrub them, saving the greens. Cut the turnips in half and set aside. If using regular turnips, peel them and cut into 1/2- to 3/4-inch wedges. Set aside. Thinly shred the greens, wash and drain them, and set aside. Place the chicken, onion, tomato, bay leaf, paprika, salt, pepper, and wine in an oven dish large enough to hold the ingredients in one crowded layer. Turn to coat, winding up with the chicken skin side up. Cover and bake for 30 minutes. Turn the chicken over, and continue baking uncovered for 25 minutes, until the chicken is almost done. Remove the cover and turn the chicken over again (skin side up again). Tuck the turnips and olives under the chicken and bake, uncovered, for 30 minutes, until the turnips are tender and the chicken is golden on top. Remove the bay leaf, stir in the turnip greens, and cook uncovered for 3 minutes more, until the greens wilt. Serve right away. To prepare the squash, preheat your oven to 375 F. Use a sharp knife to trim the top and bottom of the squash off, so that it can stand upright on a cutting board. Slice the squash in half lengthwise. Scrape out the seeds with a large spoon. Line a baking sheet with parchment or foil. Brush the inside of the squash with the olive oil and sprinkle with kosher or coarse salt and pepper to taste. Place the squash, cut side down, on the baking sheet. Bake for 40 to 45 minutes, or until the squash skin is tender enough to pierce easily with a fork. Allow the squash to cool down enough to handle, and then use a fork to scrape out the flesh into a mixing bowl. Taste the squash and add more salt, pepper, and garlic powder to taste. While the squash roasts, make the ragout. Heat the olive oil in a medium pot over medium heat. Add the onion and sauce for 5 to 7 minutes, stirring often, until the onion is soft and translucent. Add the garlic. Saute the onion and garlic for another 2 minutes, adding a splash of water if the onions are sticking. Add the thyme, oregano, salt, pepper, tomatoes, tomato sauce, beans and sugar to the pot and stir them well. Bring the mixture to a boil and reduce to a simmer. Simmer for 10 minutes, uncovered, or until the sauce has thickened up. Taste sauce and add seasonings as desired. To serve, place a quarter of the squash into each bowl or plate and top with a cup of the ragout, as well as a bit of chopped parsley. My family’s tradition for Christmas dinner was always beef goulash, potato dumplings and red cabbage. This recipe is exactly how my Mom always made her’s, except this one has measurements! In a large pot, heat butter, oil/lard, lightly sauté onion. Add red cabbage and apples. Continue to sauce for several minutes. Add 1 cup water, optional red wine, cider vinegart, sugar, salt, nutmeg, cloves, and peppers. Stir. Bring to simmer, cover. Simmer about 30-60 minutes or until cabbage is tender. Add lemon juice. Taste and season with more salt, cloves, pepper, sugar and vinegar as needed. Mix about 2 TB cornstarch with cold water and slowly stir in just enough to thicken red cabbage liquid. Serve. Whenever I see dill on the list I think of Chicken and Dill Dumplings, which I have already made this dill season. It is one of my favorite dishes. But seeing celeriac on the list I wondered if anyone has ever made dumplings using celeriac? So I rolled the magical google ball and low and behold a recipe for Chicken with Celeriac Dumplings. They used thyme as their herb, which I always sub with our Thyme salt, and of course I am adding fresh dill! The recipe does call for Suet, which we don’t really use. You can sub butter, although they do say veg shortening is closer, but I never use that either, so butter it is for me! Also, I typically make dumplings which are simmered as opposed to baked, so I am curious to try this out. Preheat oven to 375 F. Heat the oil in a large heavy based flame and ovenproof casserole. Fry the chicken, skin side down, for a few minutes to color. Turn it over and add the leek, wine, stock, carrot and thyme salt. Season with salt and pepper. Bring to the boil then turn off the heat. For the dumplings boil the celeriac until just tender, about 6 to 8 minutes. Drain and mash. Mix in a large bowl with suet, flour, baking powder, dill, salt and pepper. Add just enough water to form a sticky dough. Divide the mixture into 8 pieces and roll each piece into a ball. Put on top of the chicken. Bake, uncovered, for 30 to 40 minutes, until the dumpling are cooked through and golden. Sometimes I look at the list of items from the share and an idea pops into my head. This was one of those times, when I thought the sweetness of Acorn Squash, and the peppery Arugula with some zippy tempeh sounded really great together. Google the three ingredients and voila! Preheat oven to 350 F. Halve the acorn squash and clean out the seeds. Wash and chop the leeks. Chop the walnuts. Place the halved squash in a glass baking dish with 1” water, flesh side down. Bake for 30 minutes, until tender. While the squash is baking, crumble the tempeh into a bowl and cover with soy sauce, apple cider vinegar and minced garlic. Mix well and let marinade for 30 minutes. In a large skillet, heat olive oil over medium heat. Saute the spices in the oil for 10 seconds. Add the leeks and cook for 5 minutes stirring frequently. Remove the leeks from the heat and set aside. Add the tempeh and marinade to the skillet. Cook for 15 minutes until golden and crispy. Add leek and one bunch of arugula to tempeh. Cook arugula until wilted. Stuff arugula and tempeh mixture into each of the squash halves. Top with chopped walnuts. Broil squash halves until just browned, about 3-4 minutes. Serve hot. This recipe calls for Navel Oranges, but I would use Mandarins instead. Heat the oil in a large pot over a high flame. Add the onion, celery and leek and cook for 7 minutes while stirring. Add the Jerusalem artichoke, thyme and garlic and cook for another 7 minutes, and stir. Add 8 cups of water, bring to a boil, then lower flame and let it cook for 30 minutes. Make sure the Jerusalem artichoke is soft and remove from heat. Puree the contents of the pot using a hard blender until smooth, add salt and pepper, and return to the stove. Bring the soup to a boil, lower the flame and allow it to cook for 15 minutes. Stir in the cream, salt and pepper and continue cooking for several minutes without letting the soup boil. Serve hot. If you have been ordering any of the mixed date boxes we have been offering as an extra, here is a great use for them. 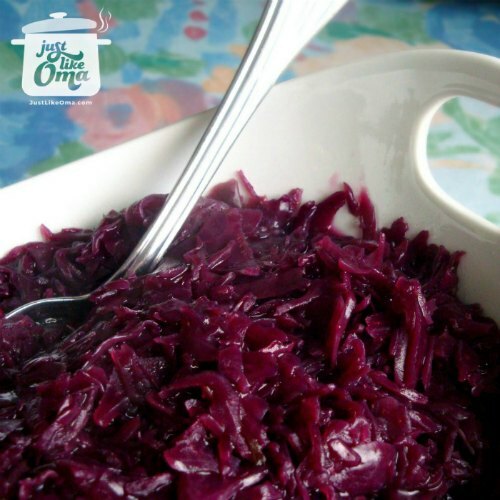 Toss cabbage with olive oil and first TB of lime or lemon juice, salt and pepper, coating leaves evenly. Taste and add more lime/lemon juice, salt and pepper to taste. I do this a few times making sure I really get this base well seasoned because it will be hard to it as well later. 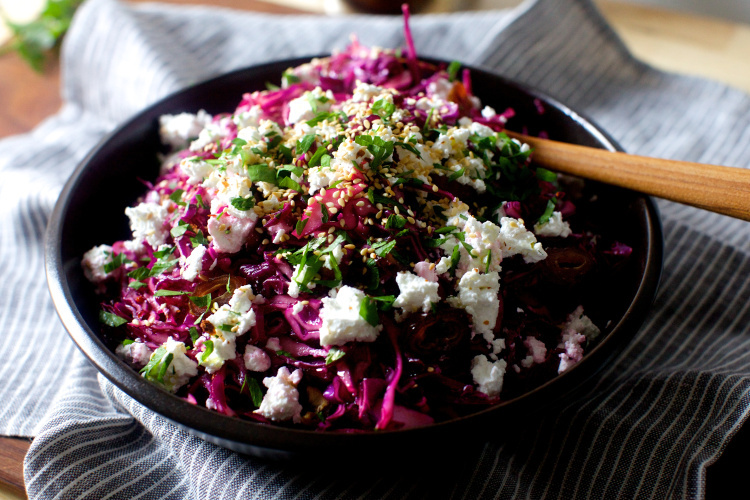 Toss dressed cabbage gently with half of dates and feta. Sprinkle with remaining dates, then feta, then parsley and sesame seeds. Serve. Place a large sauce pan filled with plenty of salted water over high heat. Once boiling, add the broccoli and blanch for 90 seconds. Use a slotted spoon to remove the broccoli, then refresh under plenty of cold water and dry well. Keep the water at a boil and add the kale. Blanch for 30 seconds, then drain and refresh. Squeeze out as much water from the kale as you can with a clean kitchen towel and set aside. Put the oil into a large sauce pan and place over high heat. Add the garlic and cumin and fry for about 2 minutes, stirring a few times, until the garlic is a right golden brown. Use a slotted spoon to remove the garlic and set aside. Add the kale to the oil, take care, it might spatter at the beginning, and fry for 3 to 4 minutes, until the leaves are starting to crisp. Add the broccoli, 1 tsp Chile flakes and 1/4 tsp of salt. Stir through for a minute, then transfer to a large plate or dish. Gently mix in the mint and drizzle with the lime juice. Serve wit the remaining 1 tsp Chile flakes and the crisp garlic sprinkled on top. Heat the oil in a stock pot or dutch oven over medium heat. Add onions and garlic then sauce for 5 minutes or until translucent. Add in salt, pepper, turmeric, chicken broth, carrots and mushrooms then bring to a boil. Reduce heat and then let simmer, covered for 20 minutes. Add bok choy and shrimp in the last 5 minutes of cooking. Add salt and pepper to taste, then serve. Frozen shrimp will dilute the soup a little bit. You may need to add a little more salt and pepper.